With all the tedium of the Benghazi hearings, we can use something more amusing. 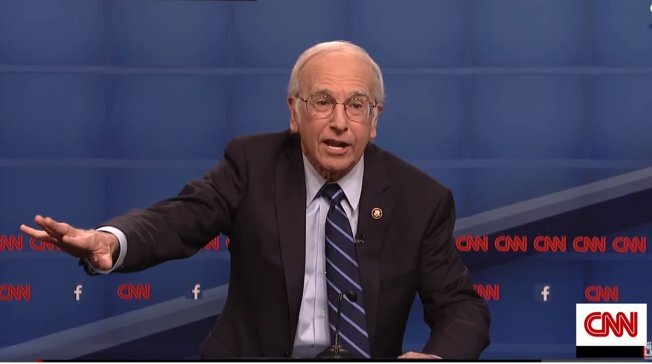 Here is how a few comedians have recently covered the race, including the first Democratic debate. Bill Maher also interviewed Sanders at the start of the show. Video above. Posted in Bernie Sanders, Democrats, Donald Trump, Humor and Satire, Republicans, Television. Tags: Alec Baldwin, Benghazi, Bernie Sanders, Bill Maher, Democrats, Donald Trump, Jim Webb, Larry David, Republicans, Saturday Night Live, Stephen Colbert. RSS feed for comments on this post.. TrackBack URL.